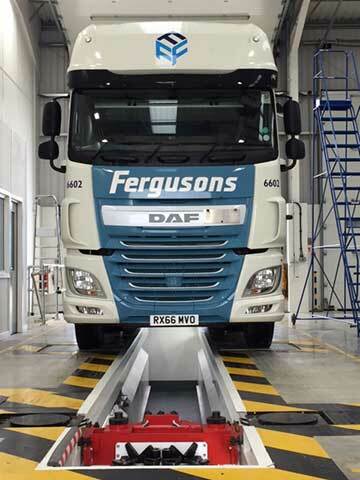 Fergusons Transport Ltd provide a complete fleet or single vehicle support solution for light van and commercial vehicle users over 3.5 Tonne covering all aspects of vehicle maintenance, servicing and repair. 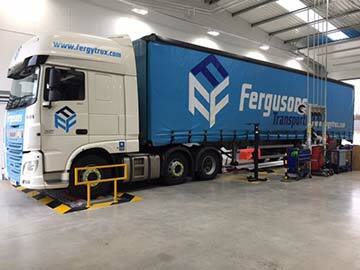 Our workshop is fully equipped with trained Heavy Goods Vehicle Technicians and the latest diagnostics equipment. We cover all vehicle safety inspections as well as differing levels of servicing to fit in with your requirements. We can carry out vehicle defect rectification as well as planned maintenance including booking, preparing and presenting vehicles and/or trailers for annual DVSA testing at our own Authorised Testing Facility (ATF). Through our fleet maintenance experience we have been able to offer a service tailored to your needs, effectively working around you to keep the compliance process as smooth and as simple as possible and ensuring your vehicle downtime is kept to a minimum. We can offer this service from our new purpose built 4 bay drive through workshop and repair centre at our premises in Cramlington. 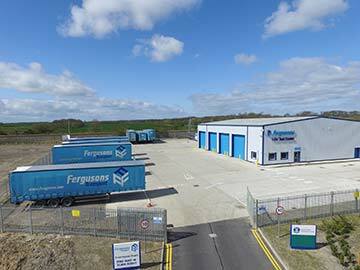 This compliments our Washington and Plymouth depots which already have maintenance facilities available. 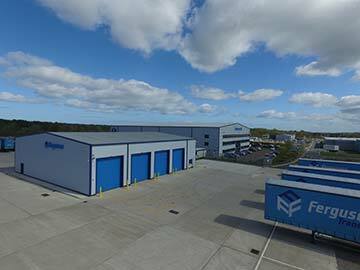 The Cramlington facility is easily accessible as we are located just off the A19, between Moor Farm & Seaton Burn roundabouts. If you have any questions, or would like to arrange a meeting to discuss your requirements, we would be delighted to discuss these with you.